Sausage pancake bites are a make-ahead, freezer-friendly breakfast recipe featuring homemade mini muffin pancakes with breakfast sausage links baked inside. A kid-friendly dish perfect for breakfast and brunch! 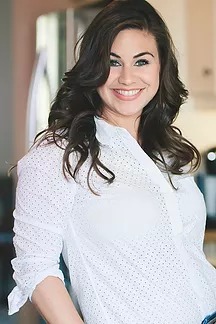 Moms are busier than ever these days, with more to-do’s coming their way than one could possibly imagine, and I am no exception. Raising little human beings to be good human beings can be trying and tough, and if I can catch a break in some way, shape or form, you’d better believe I’m going to take it. These sausage pancake bites are my morning-hookup to a stress-free, kid-friendly breakfast. After the great lunchbox success that was the mini muffin corndogs, I wondered if I could come up with a breakfast version that would fair as well. The kids absolutely love the mini corndogs, and man-oh-man, so do I.
I can make a batch at my convenience, freeze them, pull ’em out the morning of, throw them in a lunch box with some fruit. Lunch takes all of 2 minutes to pack, and how glorious would it be if breakfast could be ready in the same amount of time? Naturally, breakfast sausage made sense to take the place of the hotdog, and from there, the pancake batter just fell into place. Sausage and pancakes — a true match made in heaven. 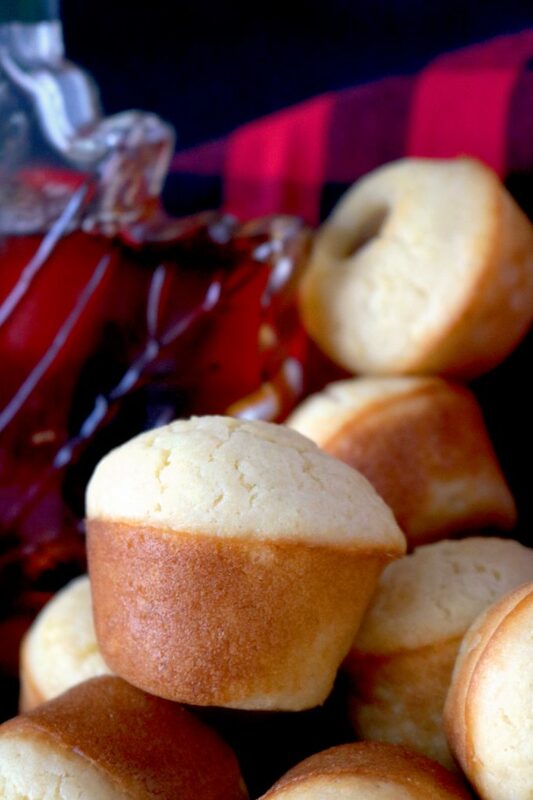 Drizzle these beauties with a little maple syrup and you, my friend, are in for a real breakfast treat. Not only are these perfect for weekday mornings, but can’t you just see these on the table on Christmas morning? Yes, please! Cause remember that whole freezer-friendly thing? All you gotta do is heat ’em up, maybe scramble a few eggs, and breakfast is merrily (and easily) served. Whether you’re whipping up a quick batch of sausage pancake bites for the kiddos, a holiday treat, or A.M entertaining, you can count on this recipe to make your morning that much easier…and much more delicious. Please, enjoy. 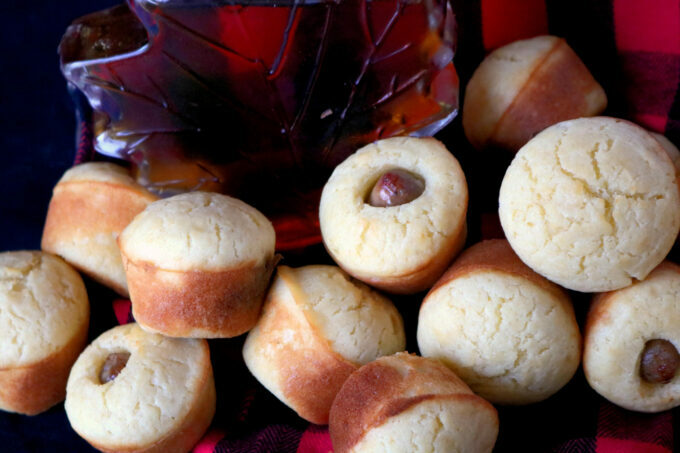 A recipe for mini pancake muffins with savory, breakfast link sausage inside. Perfect for brunches and make-ahead kind of mornings! Preheat the oven to 350° and have ready both a rimmed sheet pan lined with nonstick aluminum foil and a well-greased, 24-cup mini muffin tin. Place sausage links on rimmed sheet pan and bake for 7 minutes. Pull out the pan, give a gentle shake to move the sausages a bit, and return to the oven for an additional 7 minutes. Remove from the heat and allow to cool slightly. While the sausages are cooling, make the pancake batter, in a medium-sized mixing bowl, whisk together flour, sugar, baking powder, and salt. In a large mixing bowl, whisk the eggs until foamy. Whisk in the milk, canola oil, and butter. Add the dry ingredients and stir until combined. Do not over-stir. Set aside. Fill mini muffin tins about 2/3's of the way full. Cut the breakfast sausage links into thirds, and insert a piece in the center of each muffin cavity. You will have leftover sausage. Bake at 400° for 12-14 minutes, or until puffed and golden. Remove from the heat and allow to cool slightly. 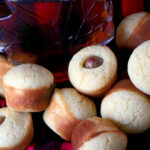 Serve with maple syrup and enjoy. How many eggs are in the recipe? Hi Shelby!!! There are 2 large eggs. Thanks so much. Merry Christmas, and enjoy your sausage bites! What a great breakfast idea and I love that it can be made ahead of time . So can these be eaten from frozen (just defrosted) without reheating? This is such a great idea — I love the idea of making them ahead of time and taking out what you need for a breakfast. I can see this being a favorite with kids and adults alike. My boys will totally love these! I will totally make these for Christmas! Great idea! this is a brilliant idea I love these bites and so will the grandkids and my husband thanks for sharing ! Loved this idea!! Looks super cute I am sure my boys will totally love it.. can’t wait to try it! Can I use a pancake mix from a box?